We’d love your help. 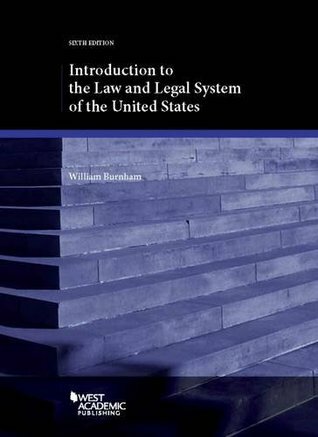 Let us know what’s wrong with this preview of Introduction to the Law and Legal System of the United States by William Burnham. Intended for law students, lawyers, and legal scholars from foreign countries; U.S. graduate and undergraduate college students; and members of the general reading public in the United States. For use as the text of an introductory course on U.S. law, as a reference, or for self-study. To ask other readers questions about Introduction to the Law and Legal System of the United States, please sign up.